Greater Dandenong Council sits high in state rankings for community satisfaction. GREATER Dandenong residents are feeling safer in their neighbourhoods, according to a state-run survey. But the State Government survey discovered that Noble Park and Springvale residents are the least happy with their council’s “direction”. Its score of 48 per cent was, however, markedly up on 40 per cent feeling safe in 2014. 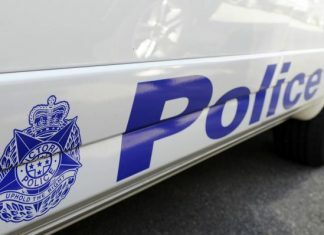 Greater Dandenong Mayor Sean O’Reilly said the rising trend in perceived safety was expected to continue due to “a range of proactive measures and the receptiveness we are receiving from the community”. * Dandenong residents were the most positive about the council’s direction and Noble Park and Keysborough residents the least so. Cr O’Reilly said the overall results reinforce Greater Dandenong as an “enviable” place to live and visit. The council collected a 65-point index score for overall performance – five percentage points higher than the state average. Greater Dandenong also rated higher than the state average in all seven sub-categories of community consultation (up significantly from 2014), overall direction, sealed roads, customer service, advocacy and decisions made in the community interest. The council’s overall and sealed-roads ratings are marginally lower than for other outer Melbourne metro councils. The survey also identified maintenance of sealed roads and public areas and communication as among the council’s weaknesses. Residents rated the council highly for its community facilities, parks and gardens, street maintenance, diversity, waste management and customer service.